Seeing Cigüeña’s, Storks, Along The Camino is a very unique and interesting experience. I remember as I first began to see from a distance large nests on top of light posts and churches that made me wonder what could that be. My friends quickly educated me on the cigüeña’s or storks that make these high locations their home. Perfect perches for them to look out across the landscape. It is always fun to see where they will make their nest and how many there will be as they dot the roads and small villages along the camino saying hello to all those who pass by. “The ciconiformes (Ciconiiformes) are an order of birds neognatas whose amplitude and composition has been widely discussed for years. Recent developments suggest that only taxonomic should include family stork . 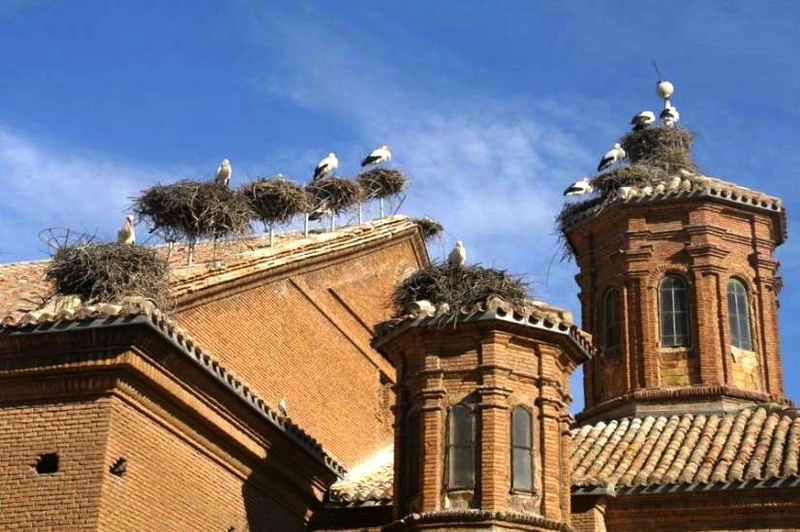 The cicónidos commonly known as storks. They are long-necked birds, waders and waterfowl that inhabit warm temperate regions of the world. Their diet consists of frogs , fish and small birds or mammals . This entry was posted in Camino Travel Tips and tagged animals, architecture, camino, nature, outdoors, photography, The Way. Bookmark the permalink.